NOTE: easyDNS reserves the right to publicly post any takedown request we receive. 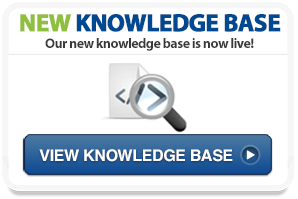 Any legal or public documents involving easyDNS may be (and often are) posted to our blog. Writing this post I fondly recall one of my favorite Simpson’s scenes, when Montgomery Burns is being committed to a mental institution against his will and Chief Wiggums informs him “Just relax, you’ve gone off your nut, you’re being institutionalized…those grocery store guys signed the commitment papers”. It casts a light on the wider question out here on the internet of “who exactly gets to authorize or order what?” Specifically, the dreaded domain takedown. Just last friday we wrote our reaction to Godaddy’s cavalier takedown of Jotform last week, a domain with 500,000 end-users summarily unplugged on the basis of a simple faxed request from the Secret Service. The inevitable question follows, so what would easyDNS do under similar circumstances? Fortunately, we do have a similar circumstance to compare and contrast. A couple of weeks ago, we received a takedown request from the California Corporations Counsel asking us to take down a domain here. 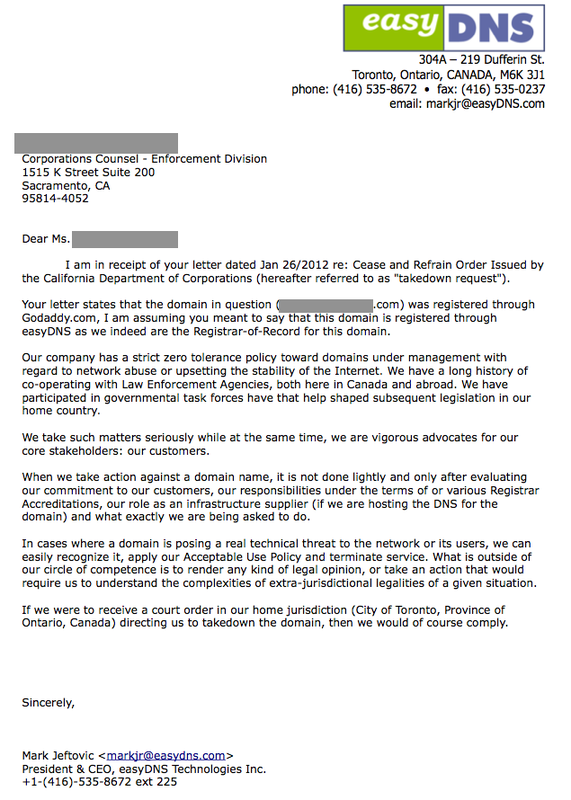 We explained that unless the domain was actively engaged in network abuse or posed an internet stability issue (which it did not), then we would require a court order here in our home jurisdiction of Ontario, Canada to unplug the domain. NABP To Registrars: You Must Takedown Any Domain We Tell You To (uh, no we don’t). It’s nice to see that not every company runs for the hills when they receive a fax such as this. I wish all businesses would follow due process and not just assume that the first person to send a letter or fax is the paramount security interest holder! Thanks Abe, we try to do our best! So if i have a phishingsite,do you emidietly take it down when someone reports it or you onl take it down when you have a courtorder? No, if you have a phishing site we nuke it immediately. We even have systems internally that detect phishing sites before they are even reported to us.